Pokémon Go Community Days are exactly what the name implies — a way to get trainers out catching and raiding together. As an incentive, Pokémon Go is throwing in bonuses like extra XP, Stardust, faster egg hatching, lure modules that last three hours, and a special Pokémon with an exclusive move. All once a month, for three hours. Except for December, where there's so much more! The December 2018 Community Day will be... all previous community days! We want to thank you for making this year's Community Days so special. All over the world, in all kinds of weather, Trainers gathered to catch an array of Pokémon species and hoped for a glimpse of a Shiny Pokémon. We appreciate your dedication and enthusiasm! So, when does the whole event run? When do the special bonuses run? Which Pokémon are the most important to catch and evolve? Metagross with Meteor Mash is one of the best Pokemon in the game. You want it. Tyranitar with Smack Down is a slightly better version of an already great Pokémon, and the best pure Rock attacker in the game. Everything else is about equal for already great Pokémon like Dragonite, or better but for less relevant Pokémon like Charmander. What is Pokémon Go Community Day? It's all part of Pokémon Go's ongoing efforts to encourage players to get out, discover new places, and meet new people. Pokémon GO Community Day is an opportunity for Trainers around the world to meet up at their local parks to make new friends and experience what it means to be a part of this special community. Once a month, we'll host a Pokémon GO Community Day event starring a special Pokémon, which will appear frequently around the world for just a few hours. When caught during the event, this special Pokémon will know an exclusive move. Other bonuses will be in effect during the event, such as increased XP or Stardust, and Lure Modules activated during the event will last for three hours. 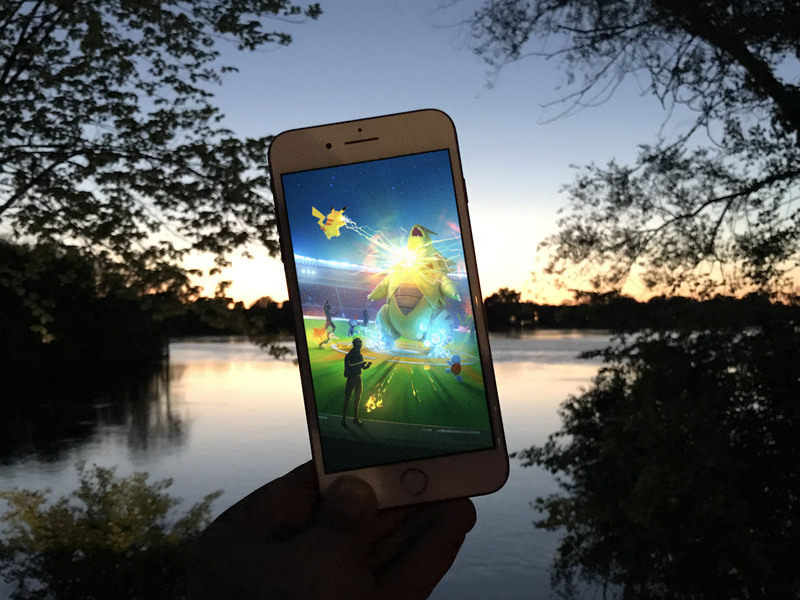 We're constantly blown away by the passion of Pokémon GO players around the world, and we hope that each Pokémon GO Community Day will help add to the excitement of local events and meetups. Remember always to be alert and stay safe while playing and to be respectful of public spaces when exploring your community. Stay tuned to our social media channels and check out the Pokémon GO Community Day event page each month to learn about that month's featured Pokémon, special bonuses, and event times. Will the exclusive moves return? All of the featured moves from each Community Day will also be available, so your evolved Pokémon can get them! Yes, although it's unknown if Shiny rates will be boosted to their usual community day levels, which can be as high as 1/9, or left at normal levels, which can be as low as 1/450. What were the previous Pokémon Go Community Days? Starting with the most recent one and working our way back, here's what Pokémon Go has offered for the previous Community Days. November 10, 2018: Pokémon Go Community Day featured Cyndaquil, which you could evolve into Typhlosion with Blast Burn, the Shiny Cyndaquil family, and 2x catch XP and 2x Stardust. October 22, 2018: Pokémon Go Community Day featured Beldum, which you could evolve into Metagross with Meteor Mash, the Shiny Beldum family, and 1/4 egg hatching distance. September 22, 2018: Pokémon Go Community Day featured Chikorita, which you could evolve into Meganium with Frenzy Plant, the Shiny Chikorita family, and 3x XP for catches. August 11 & 12, 2018: Pokémon Go Community Day featured Eeevee with Last Resort, Shiny Eevee and the Eevee-lutions, and 3x Stardust for catches. July 8, 2018: Pokemon Go Community Day featured Gen 1 starter, Squirtle, which you could evolve into Blastoise with Hydro Cannon, the Shiny Squirtle family, Sunglasses Squitle, and 1/4 egg walking distance. June 16, 2018, Pokémon Go Community Day featured Gen 2's, Larvitar, which you could evolve into Tyranitar with Smack Down, the Shiny Larvitar family, and 3x XP for catches. May 19, 2018, Pokémon Go Community Day featured the Gen 1 starter, Charmander, which you could evolve into Charizard with Blast Burn, the Shiny Charmander family, and 3x Stardust for catches. April 15, 2018, Pokémon Go Community Day featured Gen 2's Mareep, which you could evolve into Ampharos with Dragon Pulse, the Shiny Mareep family, 1/4 walking distance for Eggs. March 15, 2018, Pokémon Go Community Day featured the Gen 1 starter, Bulbasaur. It also offered 3x XP bonuses for catches, 3-hour lures, the Shiny Bulbasaur family, and the ability to evolve a Venusaur with Frenzy Plant. February 24, 2018, Pokémon Go Community Day featured everyone's favorite — and only! — base-level Gen 1 dragon-type: Dratini. It'll also offered 3x Stardust on any Pokémon you caught in the wild, 3-hour lures, Shiny Dratini family, and the ability to evolve a Dragonite with Draco Meteor. January 20, 2018, Pokémon Go Community Day featured Pikachu with the unique Surf move. It also offered double XP on anything and everything, three-hour lures, and increased odds to catch Shiny Pikachu. Any Pokémon Go Community Day questions? If you have any comments, questions, or tips to share about Pokémon Go Community Day, drop them below!